Two of the most foundational documents in any estate plan are the will and the trust. Although each has an ultimate purpose of distributing your property and assets to the people you choose upon your death, these two documents are not interchangeable. In fact, for any estate plan a will is nearly indispensable whereas a trust may or may not make sense for your estate plan. In other words, while you can have a will without creating a trust, it is rare (and in most every case inadvisable) to create a trust without also drafting and executing a will. A will is a written document that is created and executed in accordance with statutory instructions that describes how you want property that you own at the time of your death to be distributed. The “formalities” that wills must follow include the requirement that at least two witnesses must observe the creation and execution of the will by the will’s creator (called the “œtestator”) and sign the will indicating they did in fact witness its execution. A will usually will name an executor or administrator that will oversee the distribution of the testator’s assets after his or her death. If the testator has minor children, a legal guardian for those children may also be named in the event that both he or she and the children’s other parent die and the court needs to appoint someone to care for the child. Despite their essential nature, wills have some drawbacks, however. First, a will must be admitted to probate in order to be enforced. Not only does the probate process take time and resources to complete, but it also makes a public record of your affairs. Any obligation or asset you have that is resolved through your will (in all likelihood) will become a matter of public record that individuals can search and review. Also, when one or more assets pass to another individual through probate pursuant to a will, taxes may need to be paid on that asset or property (reducing its value to the beneficiaries). Trusts are becoming increasingly popular with individuals who want to pass assets to their heirs and beneficiaries without having to have the assets go through the probate process. A trust is a legal entity created by a “grantor” for the benefit of one or more “grantees” (usually the grantor and his or her spouse and/or children). The trust holds title and owns property while the grantor is still alive. This property can include bank accounts, cars, homes, and other items of value. A trustee is appointed to oversee and manage the trust property (again, usually this is the grantor him- or herself) and use it for the benefit and care of the grantor and any named beneficiaries. When the grantor dies, the trust continues to exist and, because it is its own legal entity, property does not need to pass from the trust to the next beneficiary. A trust is usually combined with a “pour-over” will. A pour-over will is a document that “catches” any property the grantor/testator may own at the time of his or her death that was not transferred to the ownership of the trust before the person’s death. A person who dies without creating a pour-over will will have any property he or she owned him- or herself distributed according to the probate laws of Ohio as if he or she had created no will or estate plan. The trust, however, will remain and continue to operate with the assets and property it does own. 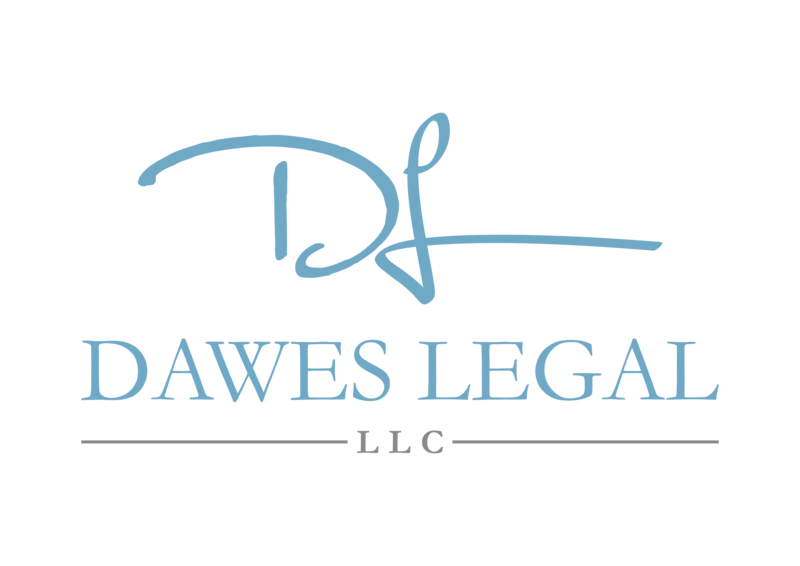 If you need assistance in crafting or amending your estate plan, contact Dawes Legal, LLC at (614) 733- 9999 and allow me to help you. I will carefully review your goals and assets and help craft an estate plan that ensures those individuals and entities you want to benefit and care for are provided for through your estate plan.